Hm, what’s happened here? Using quotation marks has meant that my VBA code is processing the second set of quotation marks just before Amy as the end of my text string, and is expecting the code to stop at that point (or do something to add onto the text string, such as concatenate additional items). Hopefully you won’t get caught out using hard-coded parameters in the future now! 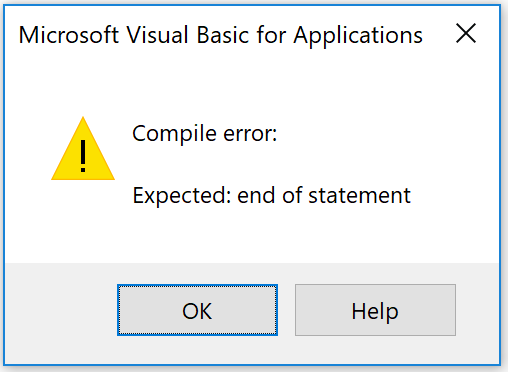 See you next week for more common traps in VBA!